Moroccan artist and photographer Yassine Alaoui Ismaili a.k.a Yoriyas received, on the evening of Wednesday, April 10 in Paris, the 2019 award of “Amis de l’Institut du Monde Arabe” (Friends of the Institute of the Arab World) (IMA) for the young contemporary creation. As a winner of the 2019 Prize of the “Amis de l’Institut du monde arabe” ,Yoriyas had benefited from a three-month residency at the Cité Internationale des Arts in Paris and a scholarship of 3,200 euros that has allowed him to carry out a new exhibition “Kora, street football and immigration” proposed as part of the exhibition-event open to the public Wednesday at the headquarters of the IMA, “Foot and Arab world: the revolution of the round ball”. His work will integrate the collections of the museum of the Institute. 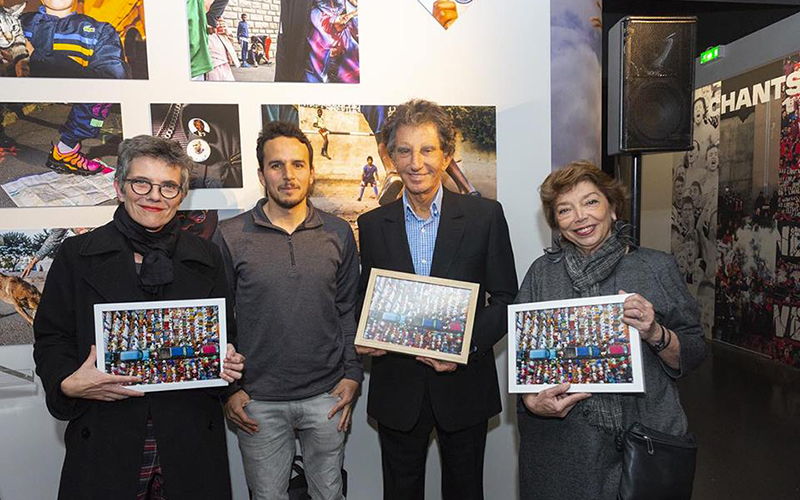 On the occasion of this award, Yoriyas was very pleased to receive this award from IMA President Jack Lang and Leila Shahid, “incredible people I respect a lot,” he said “culture creates links between Morocco and France,” he told the MAP. Featured in many international media, including the New York Times, Yoriyas is no longer a stranger in the world of art and photography. The 34-year-old artist who debuted as a dancer before becoming known for his photographic talents is notably winner of the CAP Prize (2018), Nuits Photographiques d’Essaouira (2016) and World Street photography from Hamburg (2016). The young photographer also exhibited his work during the last edition of the Biennial of Casablanca (2018).